Excellent wireless Internet throughout the property - inside and out! Fax, color laser printing, and copying services available. Luxurious bedding with 500+ thread-count sheets, down comforters with duvets. Non-allergenic bedding available upon request. 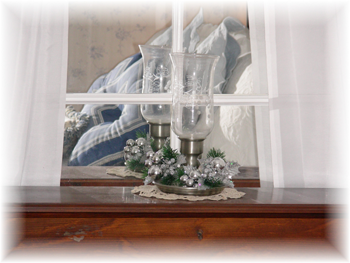 Because our Inn is small and cozy, a television is only located in the parlor on the first floor. Room 1 - This first floor bedroom can host either twin beds or a king bed. The room is a calming cream/botanical design with soft green accents and period antiques. An adjoining bath features a double walk-in shower for those with mobility challenges. 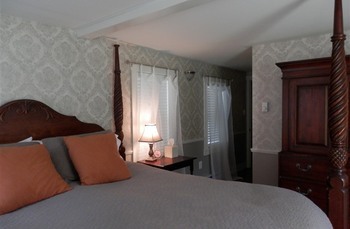 Room 2 - This first floor bedroom was formerly the Inn's summer kitchen! With rich silver damask wallpaper and a king-size four-poster pineapple bed, this room is simply lovely. It offers an in-room bath with walk-in shower. 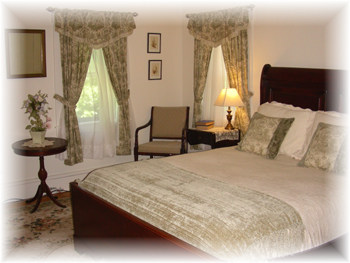 Room 3 - Large corner second floor queen with soft linen and green toil decor, accented with a cherry sleigh bed, period antiques and with either a private bath with walk-in shower or semi-private bath with clawfoot tub and separate shower. This room can accommodate additional guests. 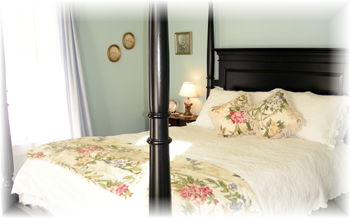 Room 4 - A spacious king room with floral Wedgewood blue and white walls, an antique pewter bed and period antiques. Private bath in hall with shower. Room 5 - Our guests favorite! 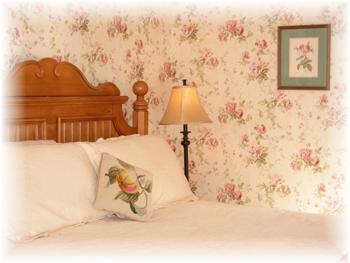 Romantic Judy Blume floral wallpaper accented with a low four poster pine ball bed. Finished with period antiques and large en-suite bath with tub/shower combination. 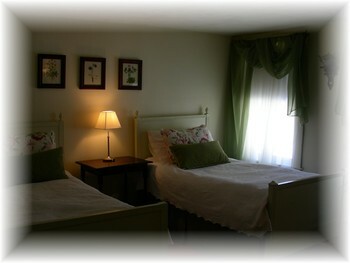 Room 6 - We call this "Uncle Frank's" room for one of the Inn's original owners. A cozy second floor queen room with striking black canopy bed set against a palette of bird's egg and garden floral accents. Period antiques and a large semi-private bath located outside the room with claw foot tub and shower accompany this room. 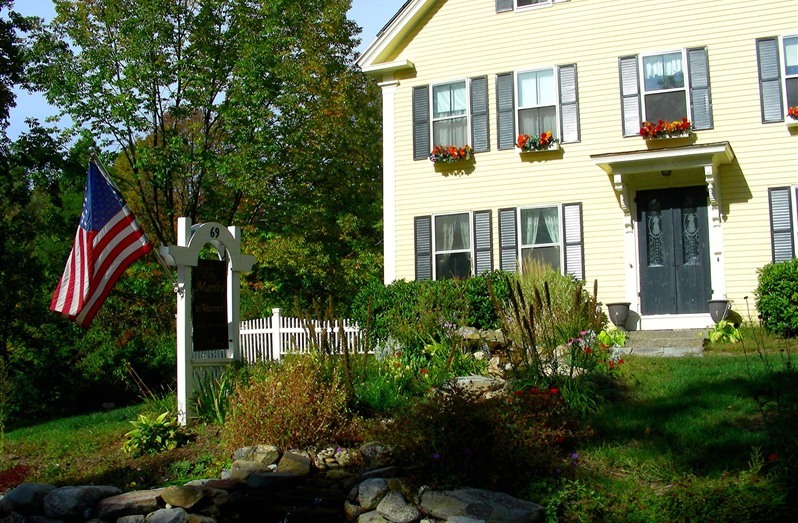 Room rates will vary on high demand, special event weekends, NASCAR weekends, Magdalen College Visitor/Graduation weekends, Warner Fall Foliage Festival, Dartmouth College, New England College and Colby-Sawyer College Graduations, and holiday dates. Copyright © The Maples At Warner, LLC. All rights reserved.